The Geeky Guide to Nearly Everything: [Technicolor Musings] Has Activism Become Nitpicking? [Technicolor Musings] Has Activism Become Nitpicking? There are times when I get into discussions with gay friends or those who are involved in LGBT advocacy groups and I find myself wondering if we're taking things too far. I'm all for equal rights for members of the LGBT community. 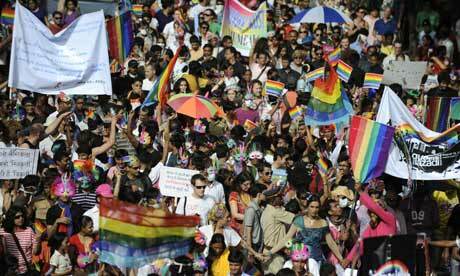 I support the annual LGBT pride march. And blog a lot about LGBT rights in the country and the world at large. But sometimes I find that we have reached a point of nitpicking about each and every instance when any aspect of the LGBT community is somehow misrepresented in popular media. Even news that is perceive to be positive or a step in the right direction is often criticized as not being enough. It's as if in our efforts to hope for the best for our community, we end being overly negative and pessimistic about everything. I'm saying that we need to be unrealistic Pollyannas here. But I do think that there's a strong tendency among activist circles to become more antagonistic than they are willing to admit. We can't even be happy for other countries advancing LGBT rights without thinking about how far behind the Philippines or something like that. We don't need to be eternally happy. But we do need to take time to celebrate the good things that happen whether from a global perspective or even on a local scale. I'm not innocent here. I have my social media vomit moments here and there, but on the whole I'd like to think I keep things in check. The golden rule of social media remains - think before you post. In this case, think about what your constant ranting and complaining says about you. Are you really just overly zealous when it comes to LGBT rights? Or have you reached a point when nothing will ever make you happy and how everything is part of some larger conspiracy to insult and undermine LGBT folks everywhere? Marching is important, regardless of your social status. And yeah, back on Disqus. Had too many problems, probably since I use custom domains for my blogs. Miguel and I were talking about this a few weeks ago. It's as if we'll never really be happy with any gains we achieve.